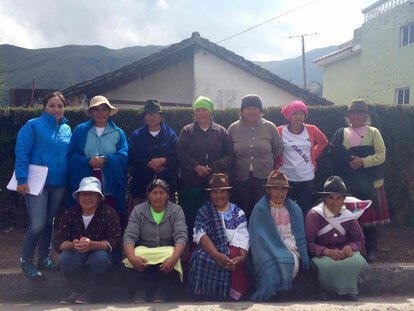 Currently COAGRO works with four women associations located in its partner communities within the Pichincha and Imbabura provinces. 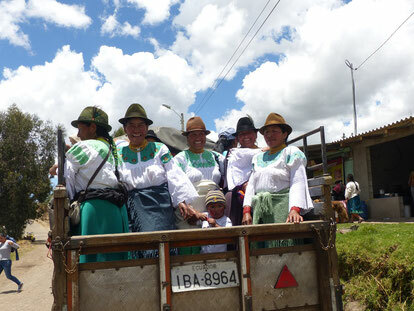 Wiñay Sisa is a small group that started to unite to work in agriculture. The association has operated for three years and the purpose is to improve the income of the women by selling milk and working in agriculture. Wiñay Sisa started working with the COAGRO foundation, which has provided financial support as well as training for the women. This group started uniting with the idea of working together in voluntourism (tourism with volunteers). Little by little they also started working together in other projects such as: managing a milk collection center. With the help of this center the women would get better prices for their milk. Today the group has its own milk collection centre where the milk is being brought twice a day. This has been supported by the COAGRO foundation. In addition, the foundation supports the group with trainings on various themes such as: administration, organic agriculture and maintenance of pastures and animals. This association started with 5 people and grew little by little until they became a group of 10 women, which worked on a project related to guinea-pigs. Soon they started to function well as a group and more women joined until they were 23 women. 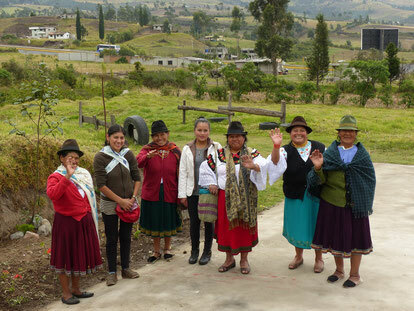 With this group, the women has been working together with the COAGRO foundation on the following themes: maintenance of pastures, organic vegetable gardens, fruit plants as well as trainings on leadership, administration and managing little agricultural enterprises. The assocation of women Mushuk Yuyay works on improving familial agriculture. They try to improve the quality of their pastures, to get a better milk production. 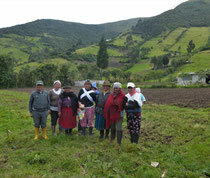 This association is currently working with COAGRO on a pasture project. The goal of this project is to help the women to grow new pastures and new plants, more adapted to their cows, to improve the milk production. This group started to unite with the initiative to form a small community bank, which grew with time. Later, the women of this group became interested in getting involved in other projects such as starting their own organic vegetable gardens and thus turned into COAGRO foundation for support. Since then they have been working together with the foundation and are currently supported with setting up a milk collection centre in order to get fairer prices for their milk. 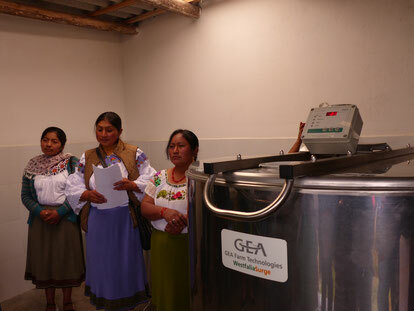 In addition, women get trainings from COAGRO in themes such as: administration, maintenance of pastures and animals and organic vegetable gardens.